The Jersey Post Group has added to its global network with an investment in a specialist Latin American (LATAM) parcel and logistics partner APG International. This investment extends Jersey Post’s network into LATAM countries, providing its existing network partners with services into these areas and also providing Jersey Post with opportunities to expand in the Americas. APG International, established by the 2018 merger between Aprisa Express and Pakya, provides a combination of parcel and logistics services focused on the Americas region and operates in both the wholesale and the retail market. Through a collaboration of partners, APG International offers e-commerce solutions such as fulfilment and cross-border services; international mail including publications, correspondence and marketing; parcels; freight forwarding via air, ocean and land; and warehousing solutions. This investment is the latest in Jersey Post’s international strategy to exploit opportunities outside the finite local market. Tim Brown, chief executive at Jersey Post, said, “Our international strategy is to ensure long-term revenue growth and stability for Jersey Post, by providing a complete global solution. This solution has to work seamlessly for those customers based overseas, but it must also work hard for those based locally so that we can facilitate expansion opportunities from Jersey to markets in locations where we now have global partners. 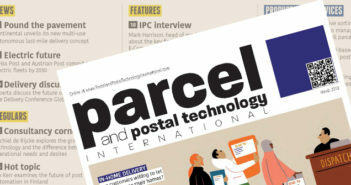 Leslie Foxhoven and Mimi Ramos, CEOs at APG, commented, “We’re delighted to be partnering with Jersey Post. They have built a fantastic parcel and logistics network across the globe which really supports and complements our existing LATAM service offering.